This is the story of the astonishing rise of a world-renowned medical center in the sparsely populated cornfields of southern Minnesota, and of the factors that led to its development. Numerous publications routinely rank Mayo Clinic among the best hospitals in the United States. Mayo Clinic leads the U.S. News & World Report “Best Hospitals” Honor Roll, with the #1 overall ranking and more #1 specialties than any other hospital. For a dozen specialties, U.S. News includes objective data such as mortality rates and patient safety in its scoring. Mayo Clinic is top-ranked in eight, second in three and third in one. Mayo gets high marks from board-certified physicians in every specialty. Each year patients travel to Mayo Clinic from every U.S. state and more than 140 countries. For more than one in five, the journey is longer than 500 miles. This proportion of patients traveling a great distance for care is unique among U.S. academic medical centers. 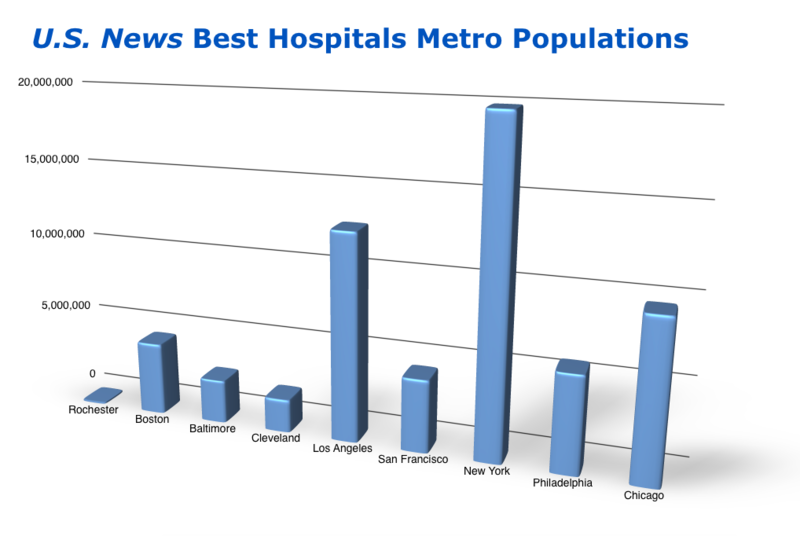 More than 90 percent of patients for other U.S. News Best Hospitals honorees typically come from their immediate metropolitan areas, and for many that local proportion exceeds 95 percent. Yet while Mayo Clinic’s southern campuses in Jacksonville, Florida and Phoenix/Scottsdale Arizona are in metropolitan areas of 1.6 and 4.2 million respectively, Mayo’s hometown of Rochester, Minnesota only recently surpassed 100,000 in population. How did this happen? Why have patients traveled so far for more than a century to receive care in a community with less than one percent of the population of New York or Los Angeles? 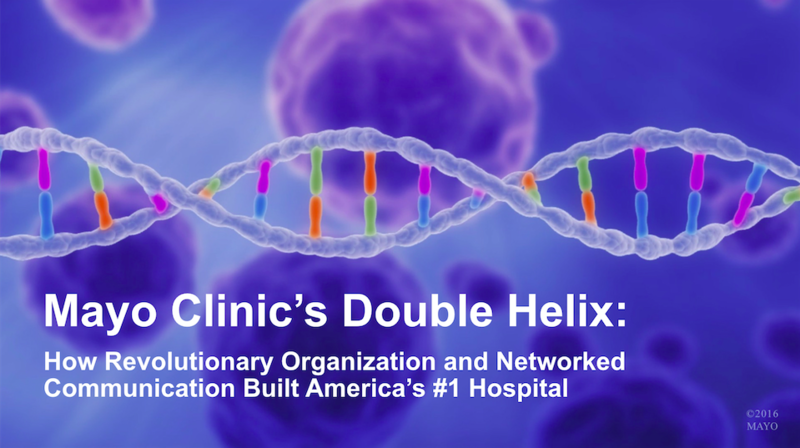 What can leaders of other organizations – in health care or in other industries – learn and apply from the Mayo Clinic experience? In this year-long series we’ll examine circumstances and characteristics that led to Mayo Clinic’s creation, growth and sustained excellence. And we’ll see why Mayo’s leadership in social media is a natural 21st century expression of the networked communication in its cultural DNA. I hope this series will help you see social media and its application in health care in a new way.